Adding lights to your home is a great way to aesthetically add to your garden or yard, or providing useful functions like lighting up your driveway as you pull in at night. Sometimes you get both at the same time. For example, illuminating a pathway doesn’t just look cool, it can go a long way towards making sure you don’t trip in the dark. From aesthetics to function, good lighting can be essential for any home. And it’s never been easier. Past generations of outdoor lighting left homeowners dutifully replacing batteries and bulbs, or trying to tediously work out an extremely long wired connection. But those inconveniences are a thing of the past, as the advances of solar technology have been met with advances with LEDs. Rather than emitting light in all directions, LEDs focus light in one specific direction. The result is light in the places you need it, with no energy wasted shooting light towards what you don’t care about. And LED bulbs are rated to last, with many quality bulbs expected to keep going for as much as 50,000 hours of use. Solar panels are cheaper, more durable, and more energy efficient than ever before. They’re also ego-friendly, cost effective, and require almost zero maintenance. LEDs produce more directly light from less energy and virtually no heat. 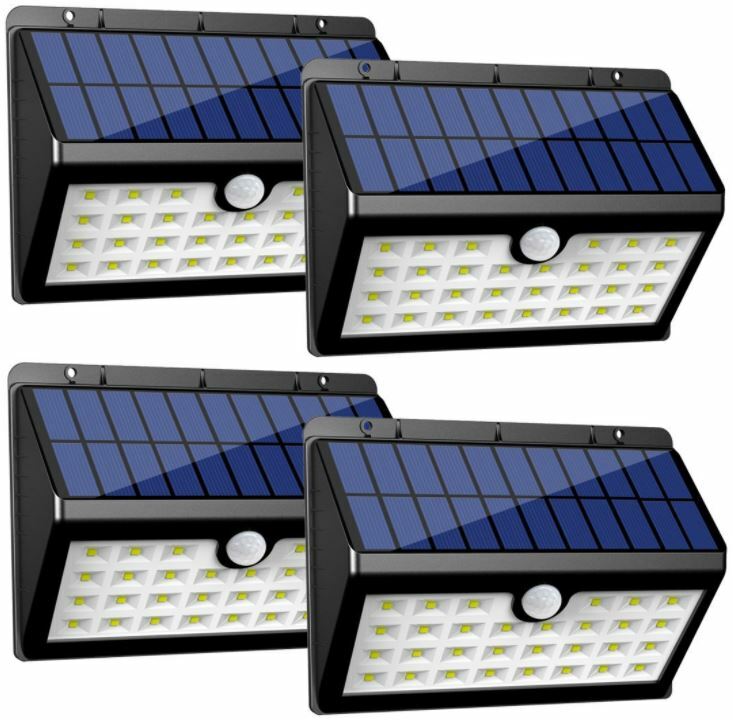 Combine the free energy of the sun with highly efficient lights, and up end up with amazing outdoor solar lighting. More efficient solar panels also mean they’re better capable of charging even when it’s a cloudy day, or through seasonal changes. Your solar LEDs may not last as long as they did on a summer night, but cloudy areas can still pull enough charge to get bright light for several hours. 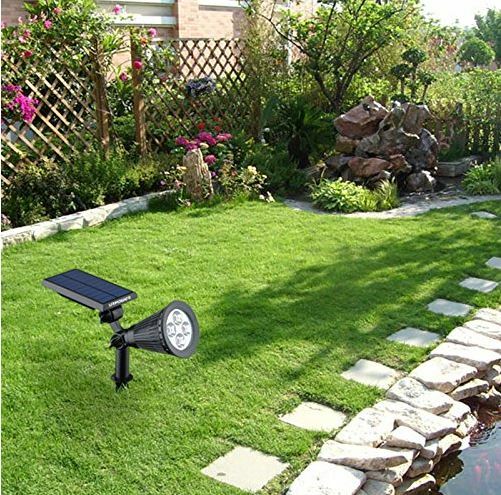 Browsing through the market, you’ll find no shortage of options for outdoor solar LED lights. But if you’re looking for quality, you need to know how to choose. Choose poorly and you’ll end up with tiny charge capacity or LEDs with a poor lifespan. Choose wisely and you’ll end up with useful features like motion or hazard detection. And depending on whether you’re looking for visibility or aesthetic, you’ll have to think about the intensity of the light. Your choice in lighting fixture depends on your objective for those lights, but there are three distinct categories. The first are solar path lights, which are aesthetically-oriented and used to light up walkways. 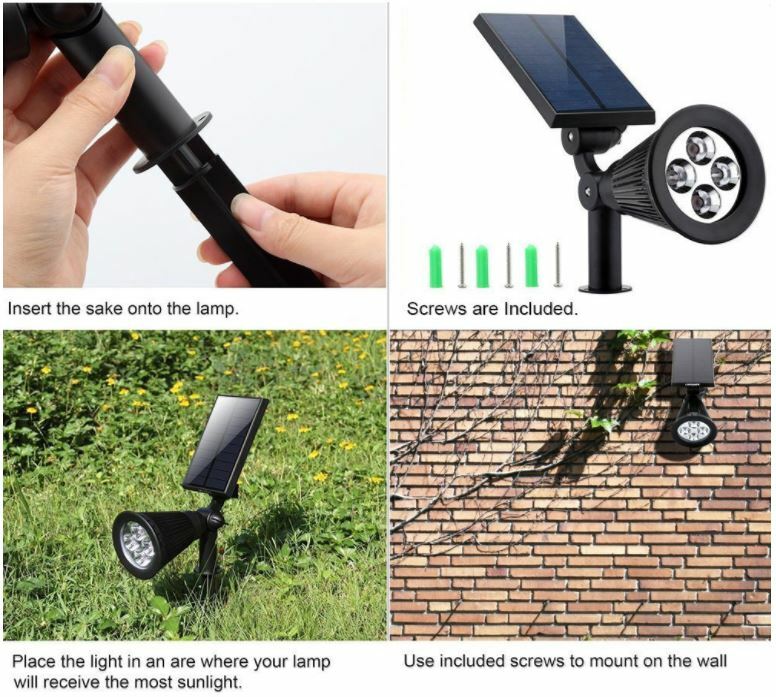 The second is solar task lights, which are used as spotlights and need to be particularly bright. The third type is a multipurpose garden light, which can be used as a middle ground between aesthetics and function. Each type of light also will play a role in determining how the solar panels are connected. Some fixtures allow solar panels to be mounted independently from their light, so you can give them the greatest possible access to the sun’s light. Depending on the type of light, you’ll also see wide differences in durability and weatherproofing. What exactly are you looking for the light to do? Are you trying to light up your driveway, patio, or backyard? Are you looking more for practical function or aesthetics? You can quickly narrow down your choices down by asking these questions. Knowing what you want to do will also help you figure out whether or not you could use special features, like lights that can be switched on and off with automatic timers. For maximum exposure to the sun, you’ll have to figure out where you want to place the light, and think about how much sunlight those places will get. If you’re not confident that you can get the sunlight you need in the locations you want, then you want that reflected in the lights that you end up choosing. Although it’s possible for modern solar panels to get decent charges out of low-light conditions, people with those conditions will want to think especially hard on where they’ll be placing their panels. The more direct sunlight you can provide, the more you’ll end up with a bright light and a lasting charge. For a gentle glow, lights producing 15-20 lumens will be enough to give a beautiful aesthetic to your garden, or subtly light up a pathway. But if you’re looking for real visibility, then you’ll need real quantities of light, like you would get from a 50-watt incandescent. That means achieving closer to 300 lumens. Battery life is another thing to pay attention to. Solar lights save the energy of the sun to batteries during the day so the energy can be used at night. The charge you can expect should be 4-9 hours, partially depending on the weather around you, and partially depending on the battery and panels you’re using. If you’re thinking of practical functionality above all else, then 4-5 hours should be more than enough to throw on the light in your driveway for guests. But if you’re looking for longer charges, you’ll need bigger batteries and lights to match. 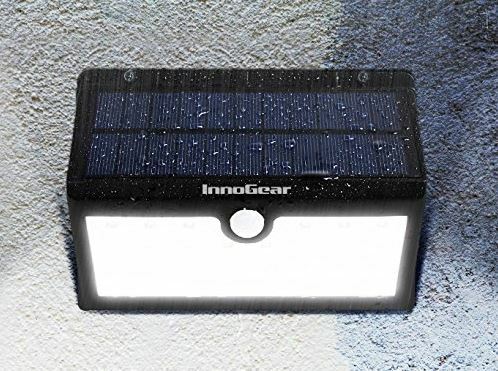 Using 30 individual LEDs, the InnoGear solar-powered LED light stores up energy through the day to generate a significant 450 lumens at night. Designed for illumination above all else, the bulbs offer a full daylight white color temperature of 6500K. And smartly designed with the basic motion detection features you want from modern light kits, the InnoGear Wall Light is a go-to for anyone in need of security lighting. Smartly designed with energy saving in mind, you’ll find easy-to-use automatic timers for dusk, and auto-off timers for sunrise. 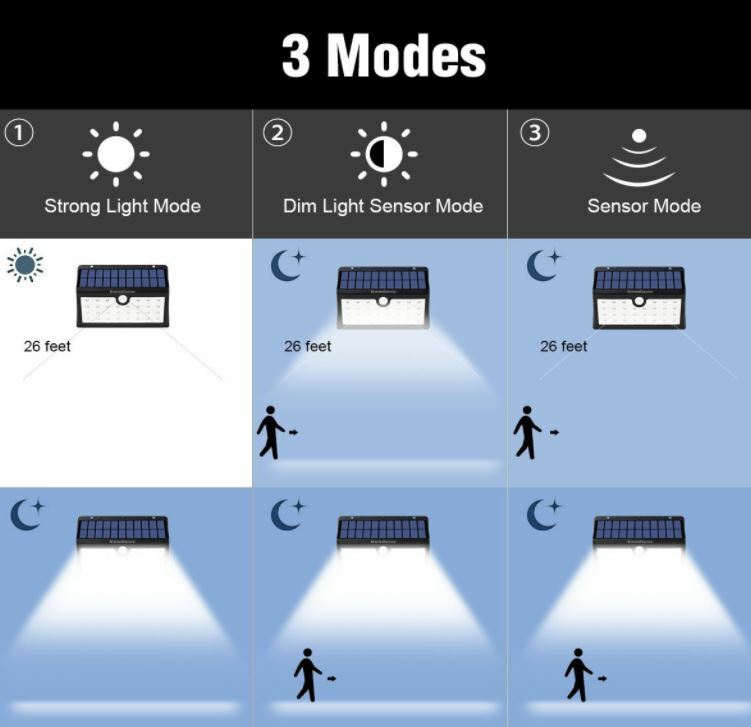 You also get the security mode features of similar flood lights, where motion detection will turn on the light on for a short time. That motion sensor detects movement within 26 feet, and the sensor has a wide a viewing angle of 120 degrees, which is fairly expansive. Installation is easy thanks to two keyholes on the back of the device, allowing you to hang the light either on or off the screws. And if you’re looking for lasting lights, you’ll appreciate the full charge time for the battery is 6-8 hours in direct sunlight. The kit comes with the wall light, screws, drilling location map, charging cable, and a user manual. Designed with outdoor use in mind, this kit is waterproof and won’t run hot. In other words, this light is ideal for your pathway, walls, patio, garden, or lawn. And it’s rated with a waterproof level of IP65, meaning dust-tight. You don’t have to worry about snow, hail, and other harsh weather conditions because this light is built to stand up to heavy seas and powerful jets of water splashing directly on it. 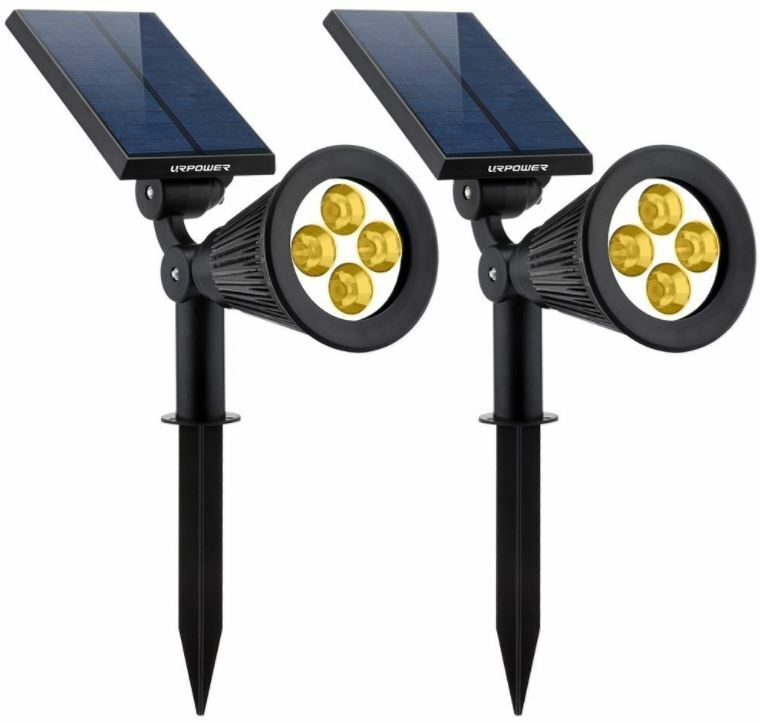 If you’re looking to light up a pathway, then you’re looking for the URPOWER Solar Lights. As a 2-in-1 device, these lights can either be screwed and mounted to a wall, or stuck directly into the earth. 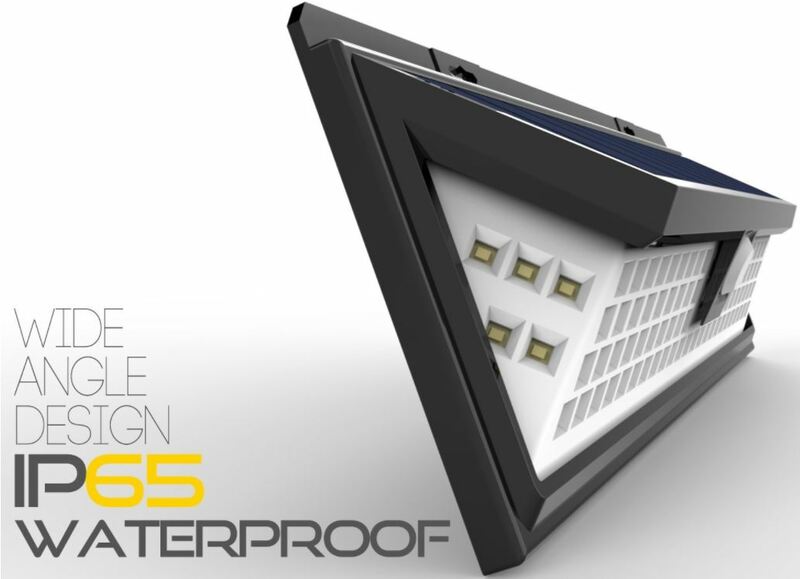 For year-round use, they’ve combined the latest generation of solar technology with the durability and waterproofing you need. Particularly striking when used as up-lighting or for landscaping, these lights are where form meets function. 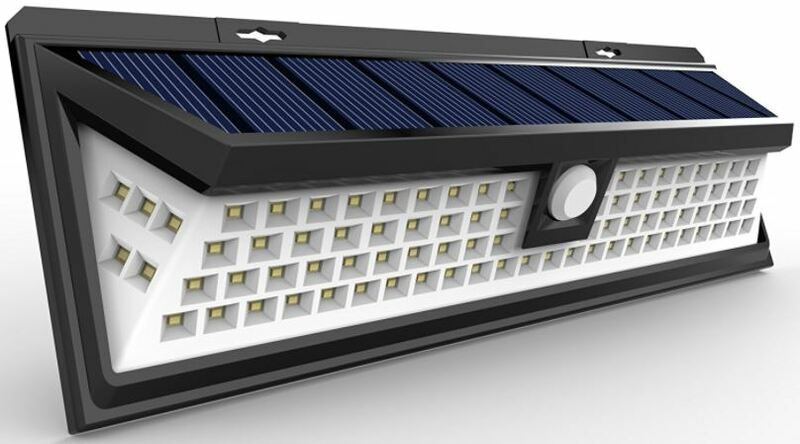 When you’re going to have multiple solar LED lights in different locations, you’re going to end up with solar panels getting different levels of charge resulting from different degrees of access to the sun. URPOWER helps alleviate this issue by allowing you to individually adjust each solar panel on each light unit. In other words, you’ll be able to find the best position for light exposure for each light, ensuring a healthy charge. And a 6-7-hour maximum charge ensures these lights will last through the evening with no problems. The fully adjustable lighting head can rotate 270 degrees up and down, allowing you to light-up and highlight whatever it is you want. Similarly, the solar panel adjusts 180 degrees. And the automatic on-/off timer switch is a convenient addition that you can independently choose to program on each light. Each light fixture includes four bright LEDs, producing 50 lumens each for a total of 200 lumens per bulb. In other words, you’ve got more than enough illumination to light up a walkway or shed light on some nearby foliage, but you’re not providing full visibility to someone working in the dark. Unlike the daylight-white LEDs in the light kit above, these bulbs make use of a warmer white, using a color temperature of approximately 3,000K. 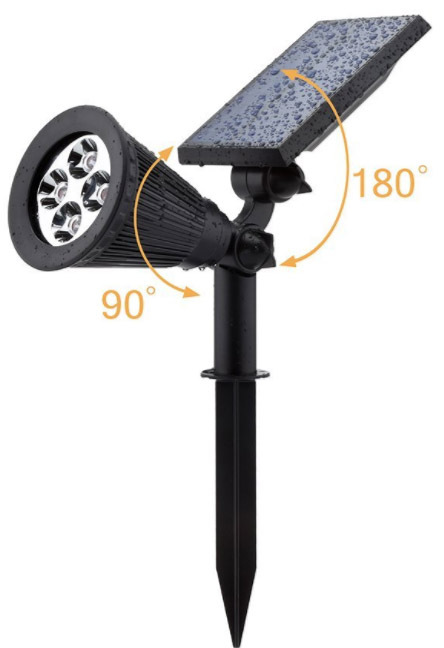 The standard kit includes two spikes, two solar lights, and mounting screws. But for lighting up a particularly long pathway, you may want more than one kit because 200 lumens of illumination won’t do much for you past ten feet. Sometimes you need a light that covers a wide area, is bright as day, and covers all the common sensor modes you want from an outdoor light. In this Solatec kit, you find all that and more. Including dim-light sensor mode, strong-light sensor mode, and strong/long-light sensor mode, you’ll be able to customize the behavior of your light to do exactly what you want. And containing 90 individual LEDs, Solatec’s kit is a product that’s far brighter than most comparable other solar lights on the market. 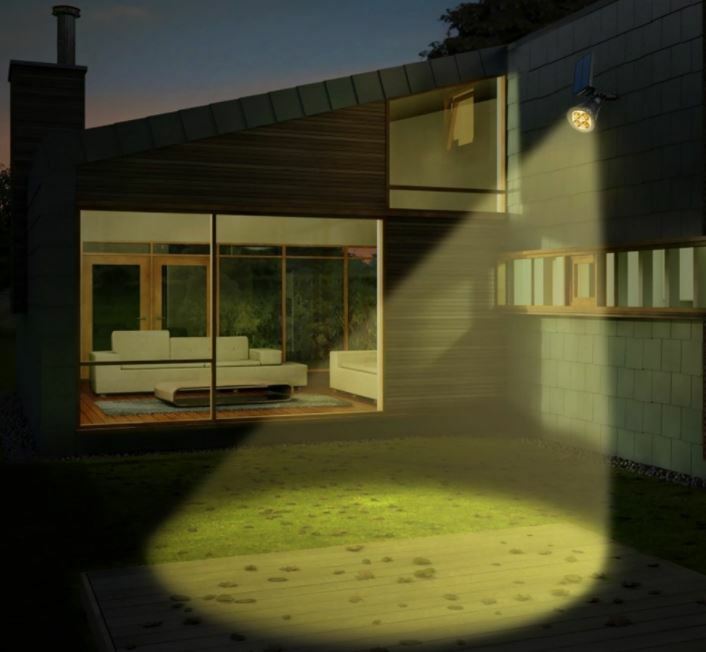 Clearly designed to be placed near a driveway, this light emphasizes reliable and automatic motion detection, with a sensor designed to read within 10 to 26 feet of the device. While it’s on, it blasts a region of 180 degrees with full bright lighting. And given the need to only use light when you need it, you’ll appreciate that the light toggles itself off as quickly as 10 seconds after motion stops. And from a 7-hour charge, you’ll get up to 12 hours of illumination at night. Whether you’re trying to take a dip in a pool at night or take a walk through your yard without worrying about tripping over something, this light can help. It’s made of a durable and weather resistant construction that’s ready to stand up to wind and rain. Although it hasn’t achieved the same illustrious waterproofing rating as the InnoGear Light above, all that really means is you shouldn’t dip these lights in a pool. These lights are clearly designed for short bursts of intense bright light, suited for tasks like providing visibility in your driveway when someone walks outside, when you pull up in your car, or to be used as a task-light for working at night. Although this light is bright enough to cover your entire driveway, that brightness will start to diminish after a few hours of hammering it with constant use. The battery of this light kit will hold up for seven hours, but is best suited giving you short bursts of light when you need it, like when you step outside to check the mail. If you’re looking for light up pathways or provide accent lighting to your garden, then the clear choice is UPPOWER’s Solar Lights. Easily installed by stake, these lights aren’t exactly security-oriented, but work excellent for lighting up your driveway, yard, patio, or garden with warm white light. For safety and aesthetics, this kit is what you’re looking for. If you’re trying to find a task light that has highly focused, highly bright lighting, then the choice is clearly Solatec’s LED kit. It’s perfectly suited for yards, gardens, driveways, and decks. You’ll have no trouble lighting up the things you need seen and won’t be let down by its long-lasting battery capacity. Finally, if you’re looking for diverse security lighting that’s flexible enough to light anything, then you’ll want InnoGear. Although they don’t look particularly waterproof, they’re rated to survive torrential downpour. Each individual light produces a considerable 450 lumens, so a pack of these lights is enough to completely light up any area, for any reason, during any reason.